Help kids practice making shapes with these free printable shape playdough mats perfect for Toddler, Preschool, and Kindergarten. 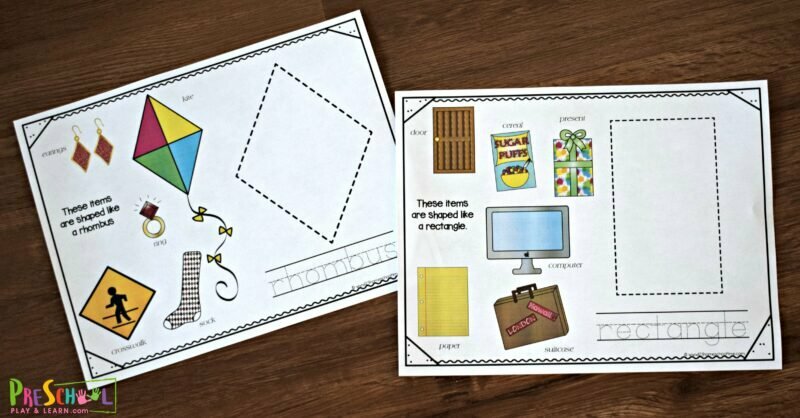 Kids will love practicing their shapes with these free printable shapes for kids activity. 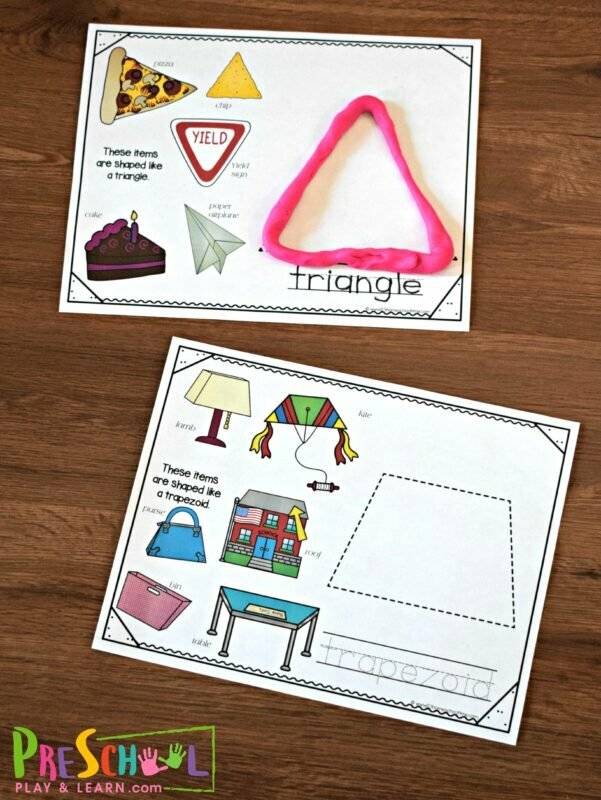 Each of these super cute, free shape printable include a place to make the shape with playdough, trace the shape word, and an example of several real word object with that shape. Students can pick which shape they are working on and then they will trace the shape name (in dry erase marker if laminated). Then they can look through the pictures 2d shapes in real life – each with a name. Finally, they will form their own shape out of playdough on top of the dotted shape on the playdough mat. 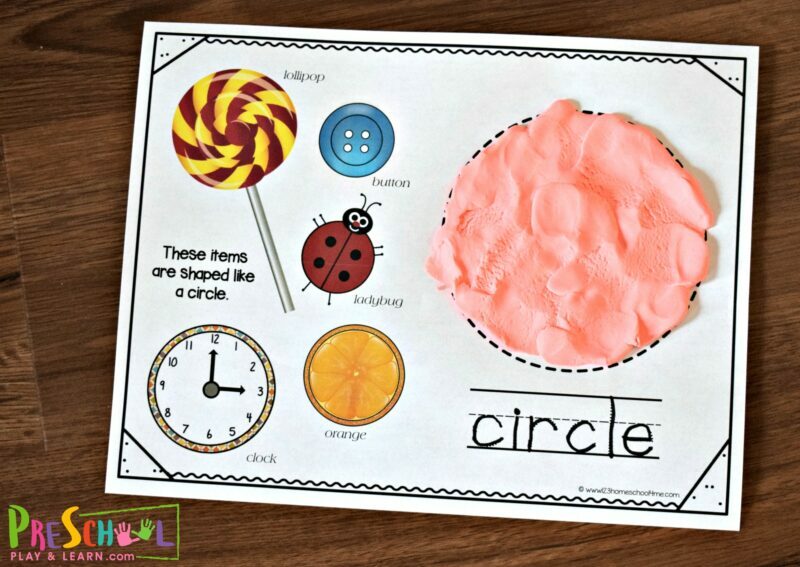 Students can practice kindergarten shapes by making pancake style shapes or rolling a playdough rope and forming the outline of the shape. This is such a fun way for kids to learn and practice shapes. 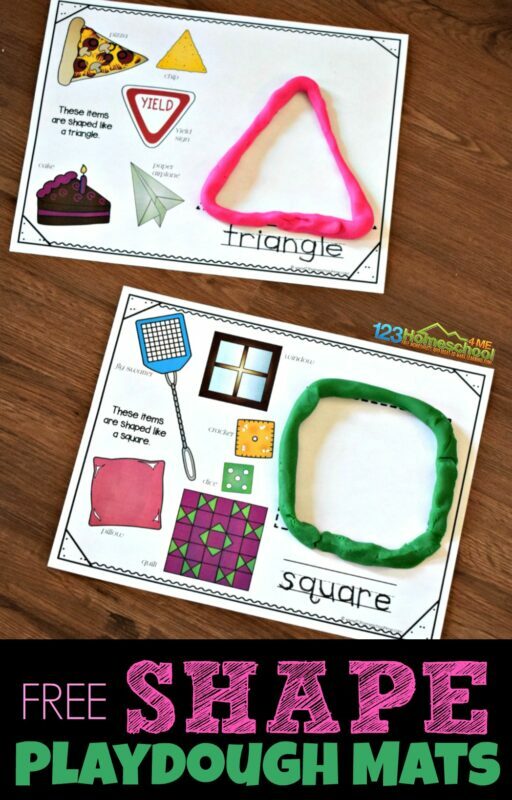 Unable to download the flower addition puzzles and play dough mats for shapes. If possible, could you please help?